Corporate culture is our competitive advantage, and it shows in our high employee engagement scores (81% according to Aon Hewitt) and low attrition rates (up to 50% below industry average in every geography where we operate). 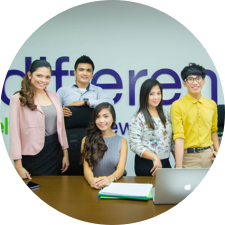 This means that our team members choose to stay and build their skills and careers with us. Our Special Interest Groups empower team members to develop their creative skills while sharing their passions with others. We offer a wide range of groups and clubs including: Water Sports, Socio Civic Group, Magic: The Gathering Club, Entrepreneurship Club, Running Club, Dance Club, Music Club, Gaming Club, Mountaineering Club, Photography Club, Chorale Club, and a Drama Club. Still don’t see a group for you? Why not start one of your own? As the saying goes, a team that plays together stays together! Our annual Town Hall party has quite the reputation (in a good way!). Attended by thousands of team members as well as our most senior executives, each Town Hall boasts a special theme giving our team members the opportunity to unleash their creativity. 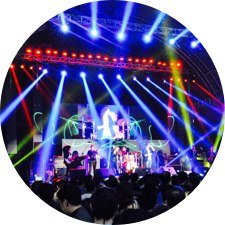 From full rock concerts featuring our homegrown bands, to preppy Ivy League themes to a prom/graduation ball theme and many more, Town Hall provides an ideal venue for fun. With regular events, we aim to keep our team members engaged and connected to each other and the company. For example, during our Executive Scoop, our top leaders serve team members ice cream and other treats, providing an informal venue to get close and personal with our executives. And naturally, holidays like Halloween, Christmas, even Canada Day, are eagerly celebrated often with treats and friendly competitions like “Best Costume” or “Best Decorated Workstation.” In between holidays, regular theme days help maintain the vibrant and lively atmosphere of our workplace. 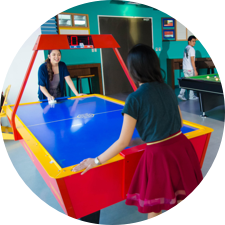 In addition to our onsite gyms, we host fun activities both in and outside of the office. This includes the Healthy Living Cup, our annual company-wide sports fest with different departments forming teams to play basketball, volleyball, badminton, and even cheer dancing. Winning teams receive medals and trophies. We know that it’s our team members who make our company truly special, and our caring culture comes to life because of them. From team events to awards to our famous Friday treats, we make sure to recognize good work and say “thank you” on a regular basis. 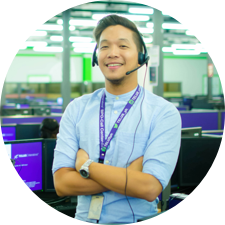 Giving back to the community is part of our caring culture, and we do it like no other BPO in the industry. Every year we lend a hand during our TELUS Days of Giving throughout Manila impacting young children and families in need. For us, it’s about helping our team members make meaningful social change in their own backyards. 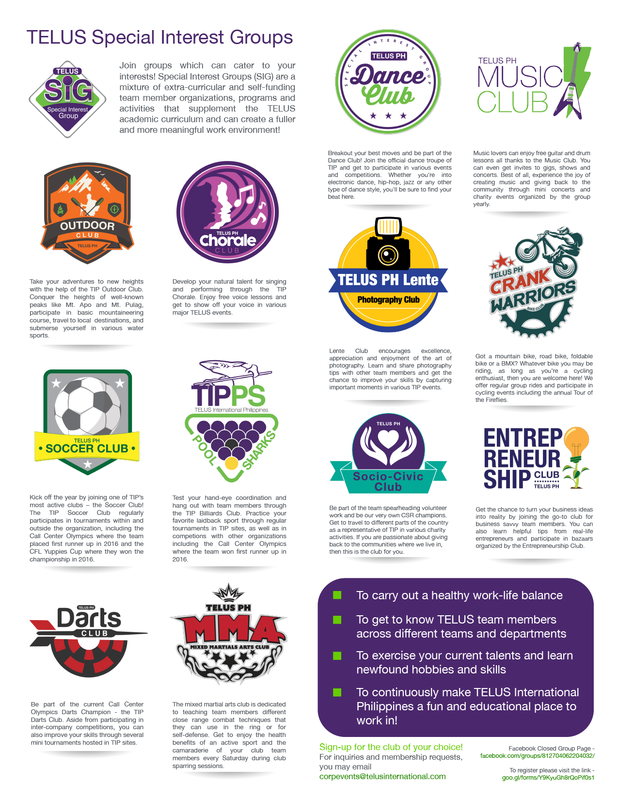 See our TELUS Days of Giving in action below.